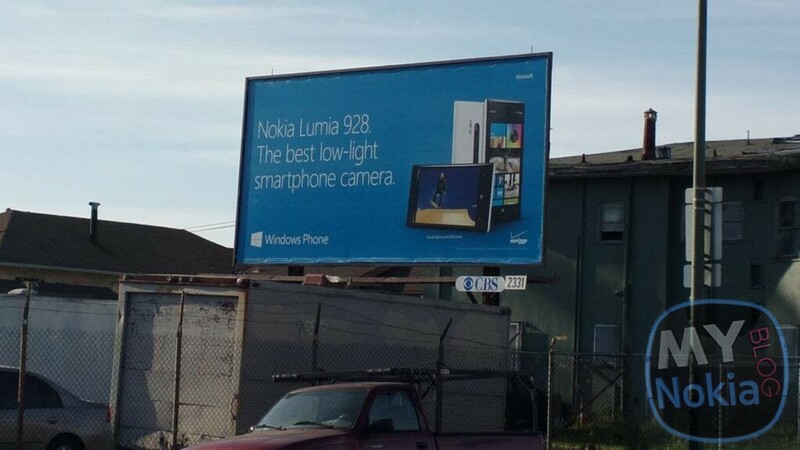 A billboard lets the Lumia 928 cat out of the bag! Ohh Nokia, you've done everything you can to keep your new flagship for the United States of America under wraps and then a good week and a half before said phone is meant to be officially launched, someone goes and does this! The image on the billboard above is a currently unannounced phone from Nokia which is set to land in the US. As you can see from the writing, the Lumia 928 is tipped to be 'the best low light smartphone camera' and if you look in the bottom right-hand corner of the advert then you can see that Verizon logo sticking out! We're quite confident that this is what it says it is and if it's not then it's a very well conducted and elaborate hoax, but too many things seem to line up with the rumours for this to be faked! At the moment we don't have any word on the internals of this thing or any other specs. The most interesting thing will be what Nokia have done to the camera on this phone to make it as good as they claim, especially against the HTC One! As you can see from the billboard and as we would expect it'll be running Windows Phone 8 and with a bit of luck it will be a Lumia 920 brought up to this year's flagship standards! What do you think? Is this real? Is it a good looker in your opinion and most importantly, would you buy one? Let us know in the comments below!